Suzuki is offering a £500 saving on all new GSX-R and GSX-S125s sold in June, as the brand continues its drive to make it more affordable for new riders to get on two wheels. Recruiting new riders has been a key focus for the Japanese firm, which recently enticed non-motorcyclists into getting a taste for two-wheels with a pop-up shop offering free trial sessions in Milton Keynes' busy central shopping centre. With the new offer, customers can either benefit from £500 off the RRP, or add it to any deposit when taking out a finance deal. 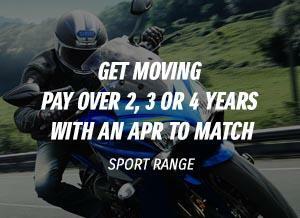 And with both bikes currently on Suzuki's hire purchase offer with low-rate, 3% APR finance, it means the GSX-R125 can be ridden for £92.22 or the GSX-S125 for £83.50 with a £1000 deposit and no final balloon payment. The new GSX-R125 and GSX-S125 get a full LCD dash, while the GSX-R125 gets keyless ignition for that added level of practicality. Both also get Suzuki's easy-start system, and LED headlights and running lights. The entry-level machines – inspired by their 1000cc stablemates – boast class-leading power-to-weight ratios in the 125cc supersport and naked street bike class, thanks to a punchy, DOC single-cylinder engine and lightweight chassis. They also come with an industry-leading three-year warranty and Datatag's MASTER security kit fitted as standard. 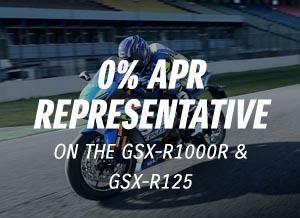 This offer applies to new purchases of the GSX-R125/GP or GSX-S125/GP purchased from an authorised Suzuki Dealership and first registered between 01/06/2018 and 31/07/2018, valid in the UK only. The offer can be extended or withdrawn at any time without prior notice. The offer is for a £500 (including VAT) saving off the RRP price of the applicable model purchased through your Authorised Suzuki Dealer. The £500 customer saving is available for both cash and finance retail customers that are purchasing an applicable model. There is no cash, credit or other alternative offered. Promoter: Suzuki GB PLC, Steinbeck Crescent, Snelshall West, Milton Keynes MK4 4AE.